On June 6, in Zalaegerszeg an international symposium on business relation-development will be held in the framework of the cross-border project E-CONOMY. The symposium will be held at the Hotel Arany Bárány (H-8900 Zalaegerszeg, Széchenyi tér 1. – Pannónia room).  http://www.si-hu.eu/en2/wp-content/uploads/sites/11/2015/10/interreg_si-hu_en115.png 0 0 bomik http://www.si-hu.eu/en2/wp-content/uploads/sites/11/2015/10/interreg_si-hu_en115.png bomik2018-05-31 11:40:582018-05-31 11:40:58Invitation to the symposium of business relation-development symposium of the project "E-CONOMY"
On Wednesday, May 23, at Sveta Ana in Slovenske Gorice an international symposium on the cultural heritage and development opportunities in the context of green tourism will be held in the framework of the cross-border project ESCAPE. On Friday, 13 April 2018, the Back in the Day project partnership met in the Castle of Rakičan to discuss the state of cultural heritage in the border area and the possibilities of its preservation in the form of an outdoor museum. Further stakeholders of the culture and tourism sector, experts, the general public ans media representatives also participated in the event. 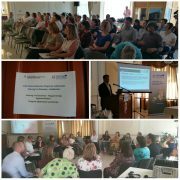 On Tuesday, May 8 2018, a workshop for reporting and for potential applicants in the frame of the 5th deadline was carried out in Gosztola, Hungary. During the workshop participants were presented how to prepare a quality project from the intervention logic point of view. The most common mistakes that were made in the course of preparing projects submitted in the previous rounds have also been demonstrated. The participants were acquainted with the programme rules they need to take in to consideration when carrying out the activities on information and communication. The morning session ended with the introduction of reporting procedures via the eMS system. In the afternoon, two projects co-financed from the funds available in the 2nd priority axis were presented. Both presenters focused on how they were successful to have their projects be confirmed. The mistakes made in the previous applications but they received professional help to correct them. As the closure of the afternoon, a round table was organized on the topic of project preparation for the 2nd priority axis and that of the most common mistakes . Beneficiaries were provided with some hints how they can develop more focused projects and better preparation. The discussions actively involved the participants of the workshop who received a lot of useful information from the Managing Authority and the Joint Secretariat. For more information on the reporting workshop, click here. News by TV AS about the event can be watched here. 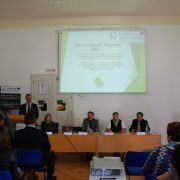 HORSE BASED TOURISM – HBT opening event accompanied with a media conference which happened on 19th of April in RIS Dvorec Rakičan, has hosted representatives of interested parties (touristic organizations & companies, equestrian organizations), which will at some point complement the project with their contribution. 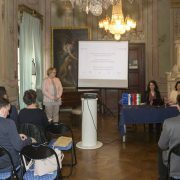 On Tuesday, 17th April 2018, at 11 am, at the Baroque Salon of the Pomurje Museum in Murska Sobota, the opening conference of the e-documenta Pannonica project was held. 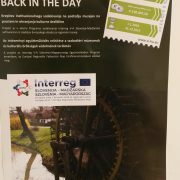 The project is being implemented in the frame of the Cooperation Programme Interreg V-A Slovenia – Hungary 2014-2020, co-financed by the European Regional Development Fund.